Wake Up Fresh Each Morning With The Light Sleep Alarm Clock! 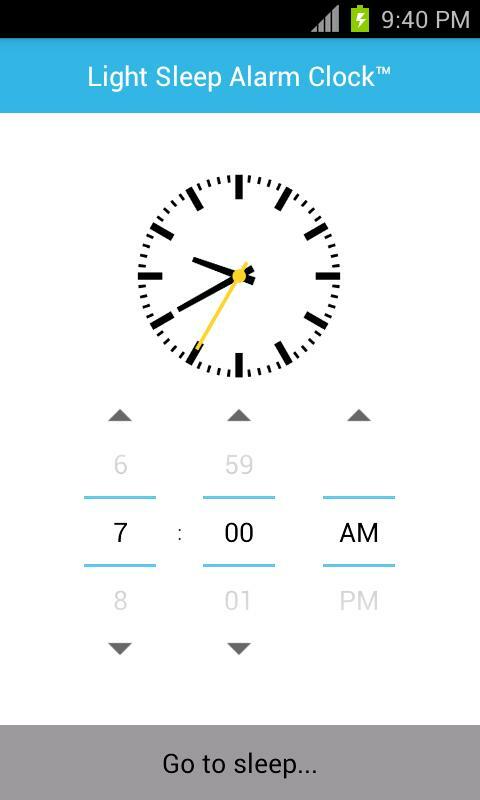 Light Sleep Alarm Clock is one of the most unique android phone apps that keep track of sleeping patterns and gently helps you get up when you are in the light sleep phase. This app has an intuitive and great way of helping you wake up and thus you no more will have to get up startled as you usually do when your alarm clock rings. Since the app carefully monitors your sleeping pattern it knows well when exactly it should wake you up. You need not keep your android phone next to you on your bed as you sleep as is required by various alarm clock apps and you can simply keep it at your bedside table. Since it carefully observes your sounds and movements while you sleep, it helps you wake up gently half an hour before the alarm time you have set. 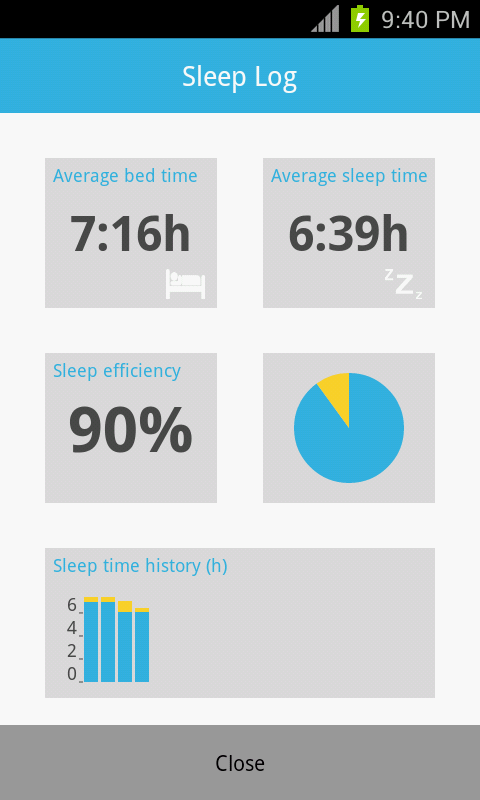 The designer of this app carefully considered the different sleep phases. At night everyone goes through various phases of deep and light sleep and also REM (rapid eye movement) and awakening sleep. If an alarm is set in your usual alarm clock it would abruptly wake you up, disturbing your sleep and thus making you feel frustrated. The Light Sleep Alarm Clock however is different as it knows exactly when it should wake you up in a way that you do not feel like dozing off once again. It senses if you are in the light or deep sleep phase. If it senses you are briefly awake prior to the set alarm time, it does not let you enter the deep sleep phase again by making a gentle alarm ring. Due to this amazing algorithm you will likely have refreshing and more pleasant mornings. Sleep tracking apps generally uses the mobile phone’s accelerometer, but the Light Sleep Alarm Clock makes use of your phone’s microphone to monitor your sleep cycle and keep track of even slightest alterations in sound levels. You can simply keep your phone on a bedside table and be sure it is going to wake you up right on time. The app can be used even with your phone getting charged close to your bedside. It has a blue-themed streamlined interface that is easy to use. As soon as the app is started a “Microphone Calibration” check starts to see how sensitive the microphone of your smart phone is. This is followed by “Recording Silence” to test the noise in your bedroom. Once a successful calibration is over you can begin using the app. The app comes with a sleep summary dashboard which gives you detailed information about the quantity and quality of your last sleep. You will thus get to know the precise time you spend sleeping at night. So, if you want a smart alarm clock that wakes you up gently each morning helping you stay fresh, then download the Light Sleep Alarm Clock right away.